Washable Chair Pads are available in various colours making them a stylish option to help protect your furniture.They are cost effective and are easily cleaned. The diamond wicking ensures even absorption of liquid. 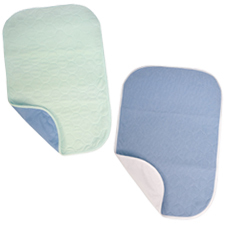 If you are looking for larger pads suitable for beds please see our Washable and Disposable Bed Pads range.